The winter temps in western Montana are nothing to sneeze at. Don’t wait for a cold snap to find out that your heater isn’t working. Give your HVAC system a test run this month and call for Missoula Heating Repair or maintenance to help keep everyone cozy! So many things can go wrong with a residential or commercial HVAC system. Of all the heating problems that you could run into this winter, there is a short list of issues that will likely require you to call for Missoula Heating Repair. One of the worst things that can happen in the winter is for the heater to start blowing cold air into your home or workplace! If there’s cold air coming from your heating unit, you should turn the thermostat up higher and wait a few minutes to see if it warms up. Also, make sure that your heater isn’t set to “fan on” or else the air will be room temperature instead of warmed up. After troubleshooting this problem, you may still have cold air blowing out of your heater. In cases like these, you’ll need to call a HVAC specialist out to check for things like a dirty air filter, leaky ductwork, unlit pilots, empty fuel tanks, etc. It’s better to shut the unit down completely until a Missoula heating repair professional can inspect the system for you. Get your residential or commercial heating unit fixed or replaced and keep the drafty cold air outside where it belongs. If there is a burning smell coming from your heater – or worse, if there’s smoke – there is obviously a serious problem with your HVAC system. This could be an indication of a blockage or dust build up, or something as serious as an electrical fire. The fix could be as simple as cleaning out the equipment inside of your heater, or there may be a problem with the wiring. The best thing to do is unplug the heater immediately and place an emergency service call to your Missoula Heating Repair company. Do you hear when your heating system shuts off eventually, or does it keep running constantly? If the unit fails to reach the desired temperature, you’re going to be using a lot more energy than you need which will drive your electricity bill up. Using a heater with a functioning auto shut-off is just one way to save money on your heating bill. Your heater could be malfunctioning and have sensors that need to be replaced, or your space may be losing heat so rapidly that your heater cannot catch up. Either way, a working heater that’s set on “auto” should not keep running all day long. The thermostat should reach the temperature that you’ve set and shut off once it has reached it. The wintertime is a notorious season for bloody noses and congestion due to the dryer air that affects Montana residents during the colder months. A common complaint about the air quality while you’re using a heater is that the air is too dry. This is not directly because of the heated air but rather because the heater pulls air in from the low-humidity climate outdoors. The best thing to do if the air is too dry is to use a professional grade humidifier that will improve the air quality and breathing conditions indoors. Certain humidification solutions require a professional installation in the ductwork and the heating system itself. There are also separate humidifiers sold in stores that involve filling up the reservoir with water and plugging it in to run. If you’re using a DIY solution like this, just be careful not to overdo it with the humidity because that can actually lead to a mold problem. Are you suffering from allergies or experiencing labored breathing while your heater is running? 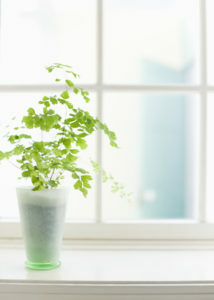 Air quality is of the upmost importance when it comes to the environment in your home and workplace. There are numerous heating issues that can ruin the air quality, and some can compromise your health. Have your HVAC unit routinely inspected and tuned up to ensure that your indoor air quality will be clean and breathable. If your vents and filters need to be cleaned or replaced, there will be more dust and contaminants circulating through your space. If your ductwork has a clog or a buildup, your ventilation will be severely compromised. If there’s mold growing inside of your heater, you could become very sick in time. Make your air quality a priority and get a Missoula heating repair professional to inspect and maintain the HVAC systems in your home and workplace. Does your furnace have a pilot light? Depending on the model that you have, you may use a pilot light or flame system or an electronic ignition. Sometimes, these sensors get dirty and need to be replaced. The problem could possibly be fixed on your own, if you’re handy. If you don’t know for sure what the problem is or you’re not familiar with this type of maintenance work, leave it to a professional HVAC technician or other maintenance person. Do you notice that certain areas of your home are warm while others are terribly cold? If you have central air but certain areas of your space are not heating up, that’s a sign that you need to call someone for Missoula Heating Repair. You shouldn’t have the same result that you’d get with a space heater, and you shouldn’t just deal with it, either. Your heater may be unevenly distributing heat because the air filters are too dirty or because the ductwork needs to be repaired or replaced. If the vents are clogged or the ductwork has a leak, you’ll notice pretty soon because certain areas of your home will be uncomfortable while others are perfectly warm. There are a few highly reputable HVAC companies in the area, but Garden City Plumbing & Heating is one of the best in western Montana. Garden City is a premium Lennox dealer, has five-star ratings on user testimonial sites, and has been in business for over thirty years. 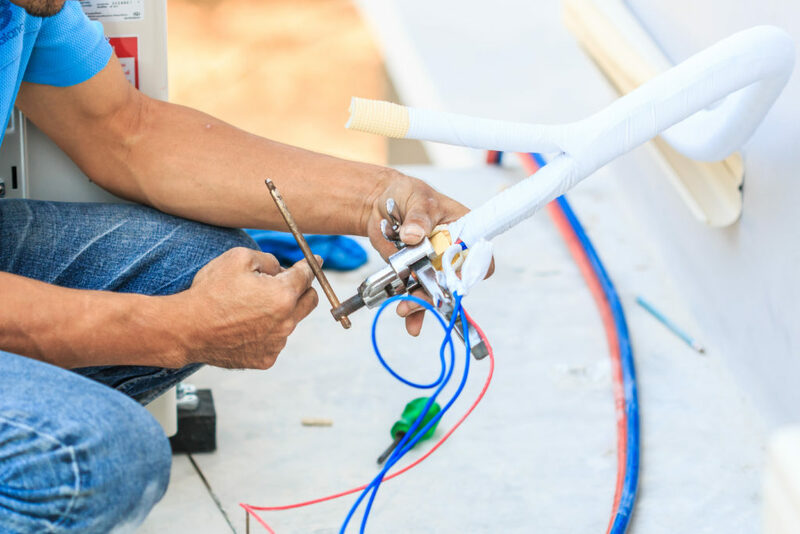 Garden City technicians are experts in plumbing and HVAC, which includes heating, air conditioning, and ventilation. They work on commercial and residential properties, and they also provide 24/7 emergency services for their customers. Save Garden City’s phone number (406-728-5550) in your phone so you can easily make a call when you need Missoula heating repair!